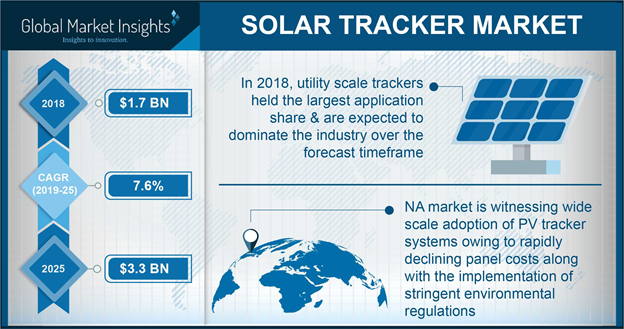 Sustainable & Smart Technologies « Global Market Insights, Inc.
Water scarcity has taken on a serious turn for the worse in recent years, contingent to which, the growth of atmospheric water generator market has observed a new high. A research study published in 2016 claims that the Earth’s renewable freshwater entirely amounts to approximately 10 million cubic kilometers. While this figure may seem large from the context that it equals around 4 trillion Olympic-sized swimming pools (assuming around 2500 cubic meters per pool), it technically aggregates to lesser than 1%, compared to the water in glaciers and oceans. In effect, water source depletion is the crisis of the hour, in consequence to which it has become crucial for global regulatory organizations and regional governments to undertake a sustenance action for betterment. This has necessitated a huge demand for atmospheric water generators – devices that extract water from humid air, which will indirectly carve out a profitable growth map for AWG industry. Large corporations, it is reported, have also been collectively making efforts to develop newer technologies to combat water shortage. EcoloBlue, a key player in atmospheric water generator market, had made a crucial decision in late 2016, of supplying AWGs to Flint, Michigan to overcome water shortages in the region, demonstrating a vital instance of corporates taking on social responsibility. The process of water extraction from ambient air does not seem to be contemporary. Back in the days of the yore, water was often condensed from thin air, by means of fog fences, air wells, and dew ponds. Borrowing the proverbial leaf out of these ancient books, major companies have been conceiving novel technologies to generate water from air. The efforts, for most parts, have borne fruit, as depicted by estimates – in 2015, atmospheric water generator market size stood at USD 800 million. This valuation can be credited to the ever-growing population demanding a consistent increase in freshwater supply, which has been depicting a shortage due to rainfall scarcity coupled with rising temperatures. This has gradually led to atmospheric water generator industry players pioneering innovative condensing & generation engines for AWGs, to extract water from humid air. It is to be remembered that this technology works best in temperate climates only, in moderate to high humidity. Nonetheless, the technology has been touted to be highly effective, and may combat the problem of water availability in the ensuing years, thereby propelling atmospheric water generator market. The government has mandated a set of stringent regulations to be complied with, with regards to water shortage, which has undoubtedly provided a positive impetus to atmospheric water generator market. The European Union has enforced the Drinking Water Directive to ensure clean, water supply to the European nations for commercial, residential, and industrial purposes. The EPA and REACH have also mandated norms with regards to optimized water usage and safe water supply will also act as a catalyst to atmospheric water generator industry growth. The WHO states that around 45% of the global pollution is caused by means of pathogenic microorganisms. In this regard, the U.S. government has launched the Safe Drinking Water Act in a bid to ensure clean water supply to the county’s populace, which will majorly impel AWG market. The SDWA has also been formed to protect the quality of drinking water in the U.S. in order to focus on all the liquids designed for drinking – from above the ground as well as under the ground. As per analysts, atmospheric water generator industry is projected to exceed a stupendous USD 8 billion by 2024, from merely USD 800 million in 2015, thereby enlisting AWG market in the coveted billion-dollar business space. Investors staking their claim in atmospheric water generator market will thus, stand to accrue substantial profits by the end of 2014 and beyond, given the projected pace at which AWG market has been evolving. AWGs find widespread applications across extensive end-use sectors such as construction, manufacturing, paper & pulp, oil & gas, and steel, which will invariably boost atmospheric water generator industry from industrial applications. As per estimates, this segment is projected to record a CAGR of 25% over 2016-2024. Commercial avenues such as office buildings, multiplexes, malls, hotels, and military camps depict an enormous utilization scope for AWGs. Analysts claim France AWG market rom commercial applications to grow at a rate of 20% over 2016-2024, given the deployment of AWGs in theaters, malls, commercial properties, and army base camps. The residential sector is one of the most lucrative segments of atmospheric water generator industry. In 2015, the segment was reportedly valued at USD 13 million. However, the expanding construction sector, growing population, and the subsequent necessity for housing will necessitate the demand for large-scale AWG installations. 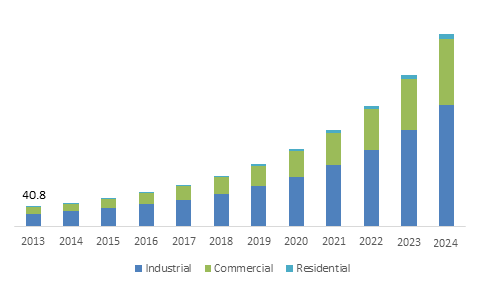 On these grounds, AWG market from residential applications has been forecast to register a CAGR of more than 30% over 2016-2024, with a valuation of over 100 thousand units in terms of volume, by 2024. Atmospheric water generator industry share may be constrained on the grounds of high electricity consumption, increasing concern toward GHG emissions and high technology costs. Despite being a rather transformative technology, its deployment may face glitches at certain times. Certain units are likely to require more than 2.5 kWh per liter of power for operation, which may lead to problems in its deployment in areas with high electricity tariffs. Nonetheless, major AWG market giants such as Island Sky Corporation, Saisons Technocom and Watair Inc., Ecoloblue, Atlantis Solar, Fujian Yuxin Electronic, and Konia have been ramping up their efforts to conceptualize innovative technologies that may reduce GHG emissions and associated costs to a great extent, which will gradually catalyze atmospheric water generator industry share in the ensuing years. This entry was posted in Sustainable & Smart Technologies and tagged Atmospheric Water Generator, Atmospheric Water Generator market, Atmospheric Water Generator Market Analysis, Atmospheric Water Generator Market Forecast, Atmospheric Water Generator Market Report, Atmospheric Water Generator Market Share, Atmospheric Water Generator market size, AWG Market, Global Atmospheric Water Generator Market, Water Generator. According to new study based Report on Bring Your Own Device by Global Market Insights, BYOD market size worth USD 94.15 billion in 2014 is forecast to reach USD 350 billion from 2015 to 2022. The report provides granular quantitative information on market together with key BYOD industry insights. Recently BYOD has been adopted across various verticals including logistics and retail, Telecom, IT, manufacturing, healthcare, public etc. This surging adoption of this system for enhancing organizational productivity is expected to drive the market growth. Increasing use of, tablets, and laptops is anticipated to have a positive impact on the market. Furthermore, the proliferation of smartphones and 4G LTE is expected to fuel the market growth. A smartphone is expected to be the most preferred device, as it simplifies handling of both personal life and office work. The tablet segment is forecast to witness substantial growth over 130 billion in a predicted time frame. Healthcare, financial services and insurance industry segments are predicted to be most key verticals. Moreover, both mid-to-large sized and small scale businesses have started adopting the system and are predicted to further the growth. The report discusses the in-depth analysis of the Bring Your Own Device industry at the regional level, including India, Korea, Indonesia, Taiwan, Japan, Australia, China, Singapore, New Zealand, Malaysia, Philippines, and U.S.
U.S. BYOD market is expected to continue its dominance with the largest market share in the projected time frame. Asia Pacific BYOD market share is likely to witness substantial growth, at a growing CAGR of 20% during the expected period owing to lower hardware expenses, and surging smartphone penetration. 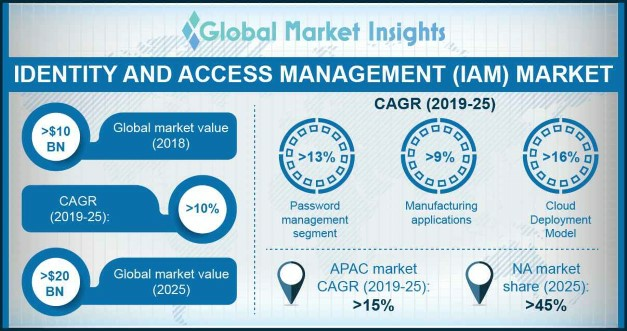 The report covers competitive analysis of the market discussing the profiles, key market strategies of major market players accumulating major market share in the market are: Alcatel-Lucent, Cisco Systems, MobileIron, Good Technology,and IBM Corporation. This entry was posted in Sustainable & Smart Technologies and tagged Bring Your Own Device, Bring Your Own Device Market, Bring Your Own Device Market Analysis, Bring Your Own Device Market Forecast, Bring Your Own Device Market Share, Bring Your Own Device Market Size, BYOD, BYOD Market, BYOD Market Trends.